I have the habit of checking Wikipedia for a definition of a cuisine because from the definition, one would know what is expected from the recipe and whether a recipe stated is acceptable or not. It may not be 100% correct but my experience shows that most of the time, it is a good reference point for recipes that I am going to blog. 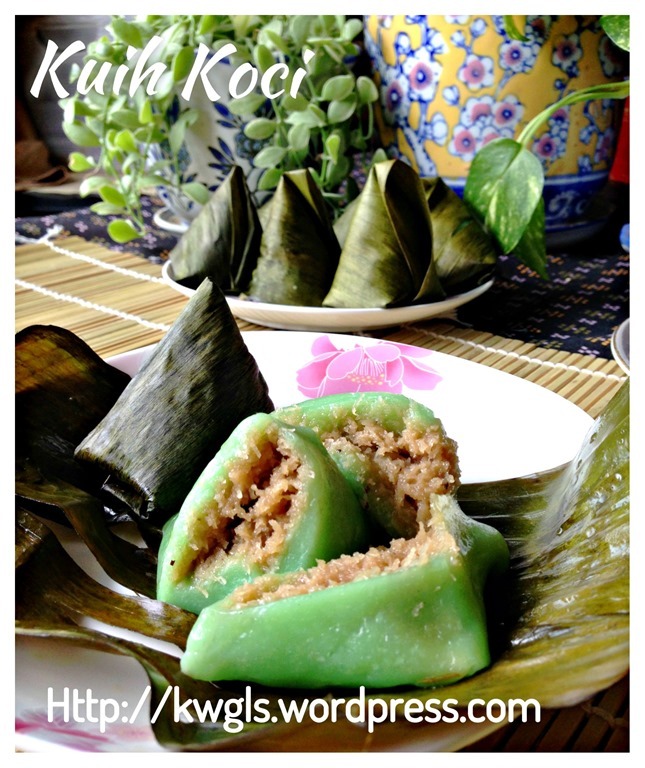 Hmmm, I was confused… Is it not all regional cuisines are interrelated ?… If readers studied the ingredients of this cake carefully, you will note that there are very similar with red tortoise cake or angku kuih, Japanese mochi, Hainanese Yi bua…It is just some sweet fillings wrapped by some glutinous rice dough and prepared in different shape or with different colour and served differently. 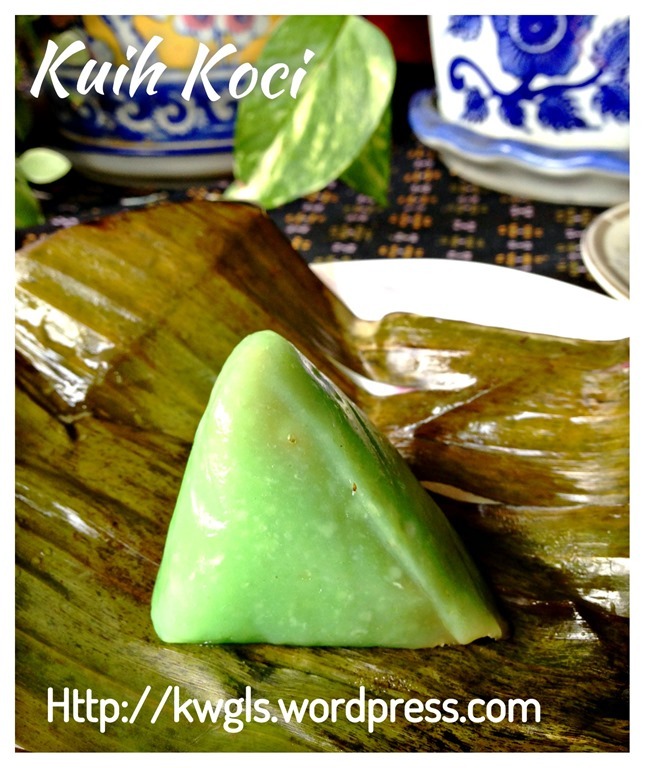 Such variations is logical due to localization of regional ingredients and I presumed that Thai, Philippines and Vietnamese will also have similar type of cakes since glutinous rice flour is commonly found in these countries.. 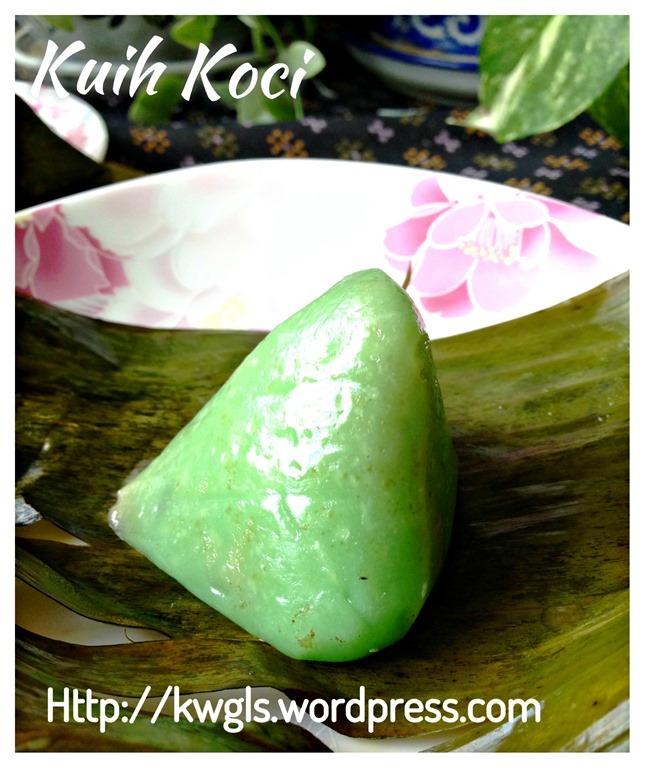 Even the name koci, mochi or Chinese called glutionous rice cake 糯米滋 （nuomichi) are all end with the syllable “ci” or “chi”… Are they related?? 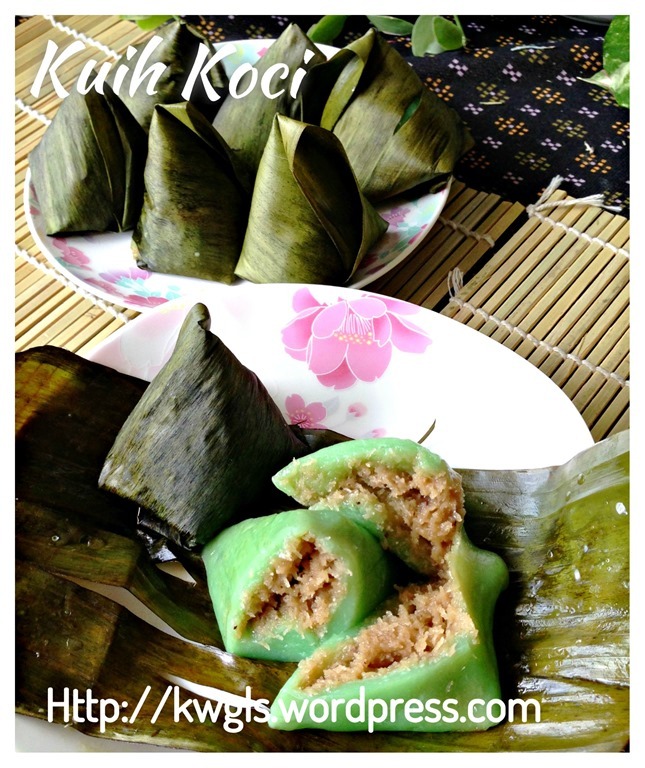 Not a difficult kuih to prepare. For the shape, you can either use the shape in this illustration and a search of the internet will show you numerous other shapes available.. 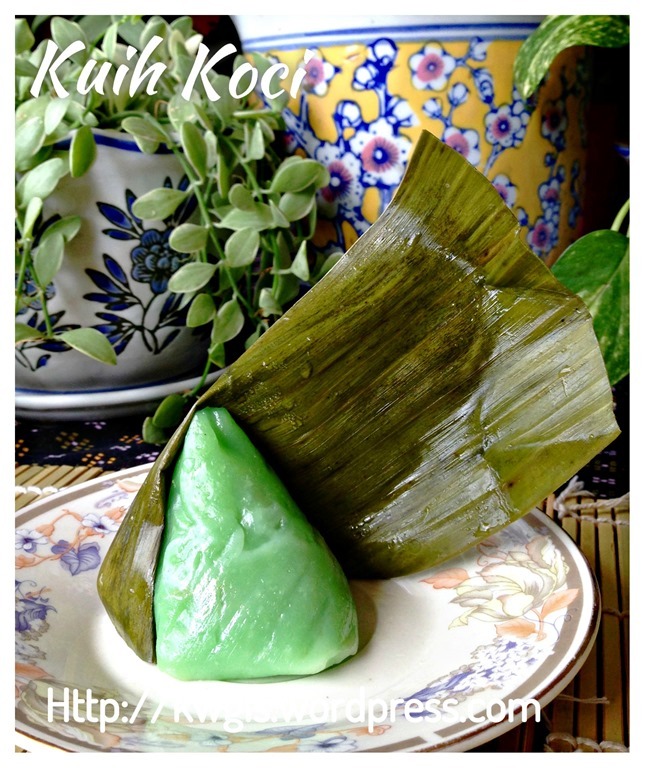 In a pan, melt the palm sugar with the coconut milk and pandan leaves, add salt and bring to boil. 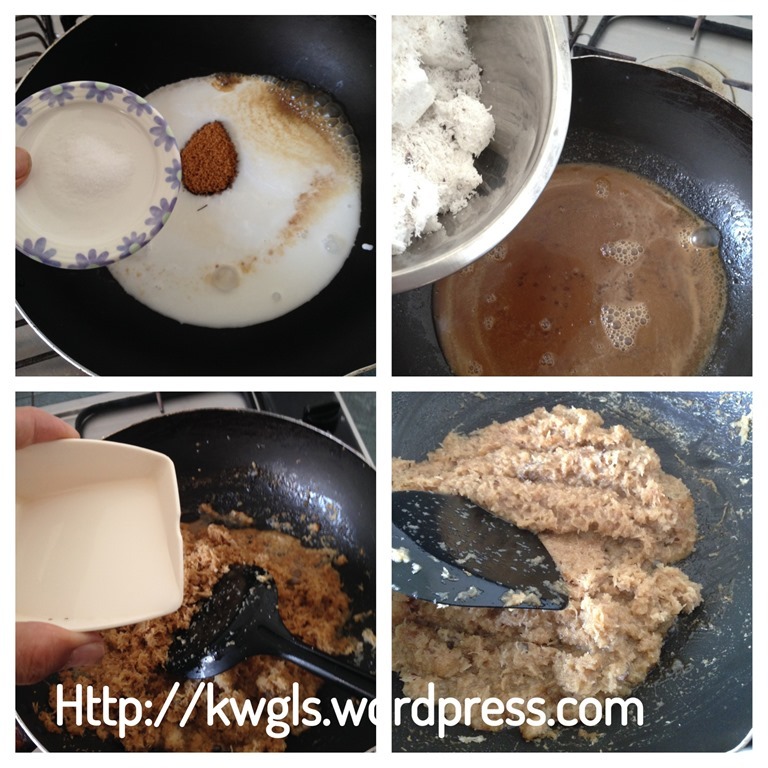 Once boiled, add the grated coconut milk, stir until well mixed. Add the corn starch and stir until the fillings start to dry up. Set aside for cooling before wrapping. This is a rather moist filling. 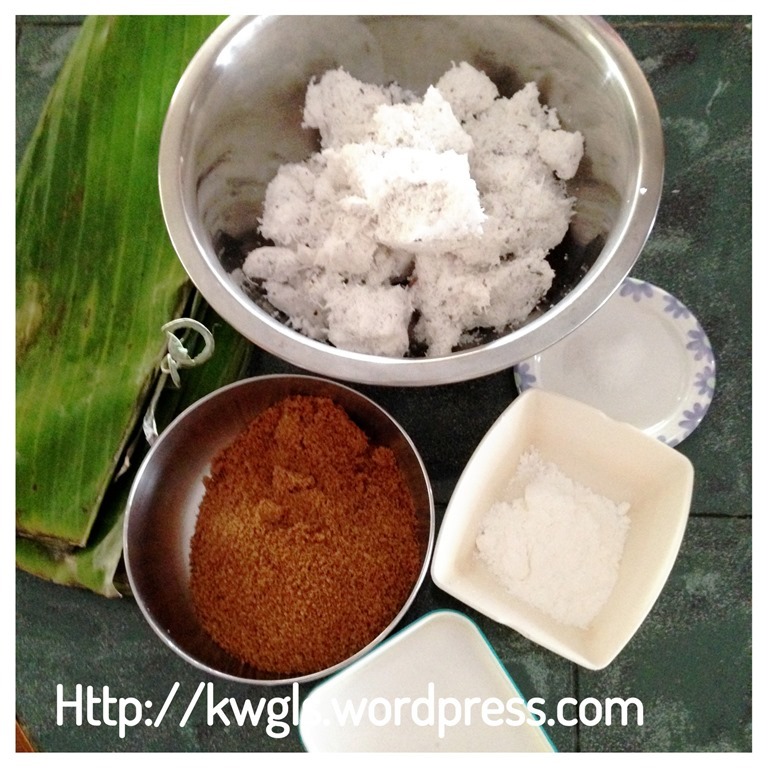 If you prefer drier filling, omit the coconut milk, squeeze dry the grated coconut, melt the palm sugar and add the squeezed grated coconut. 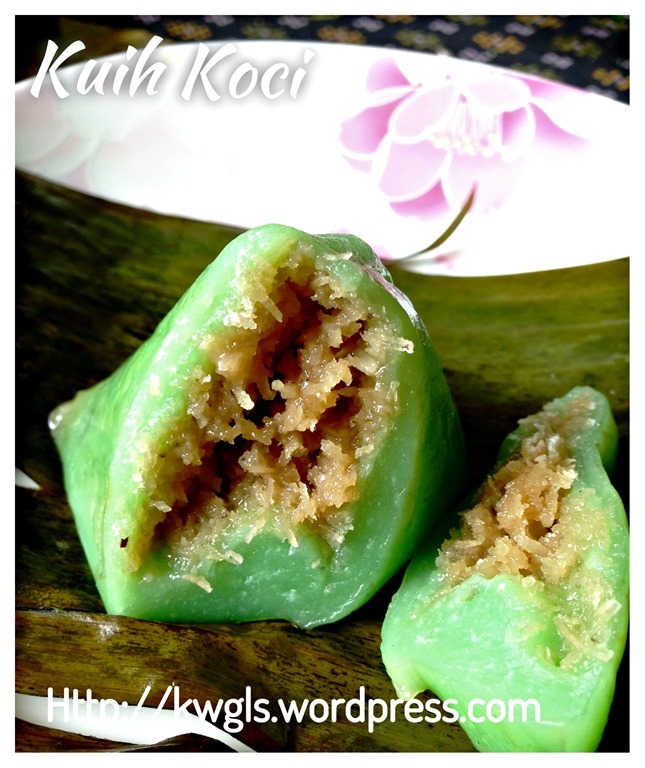 You will get a rather dry coconut filling for the kuih. 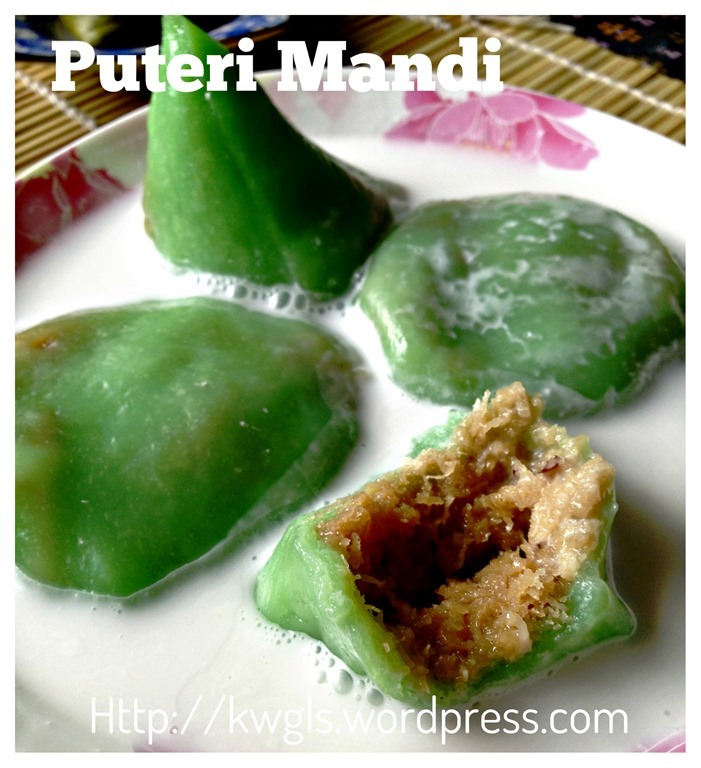 The colour of the filling will also be darker but it will also depends on the grade of gula Melaka used. Some are darker and some are lighter. 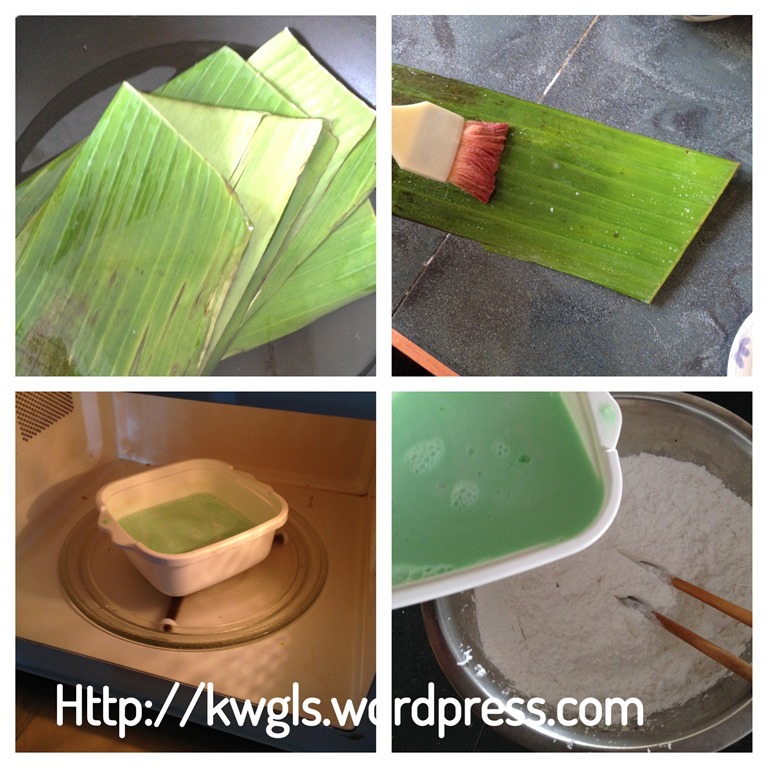 Scald the banana leaves in some hot water.. Cut the banana leaves into a rectangle of about 3” x 4” or sizes that you are comfortable with the wrapping. Grease the banana leaves with some cooking oil. Set aside. 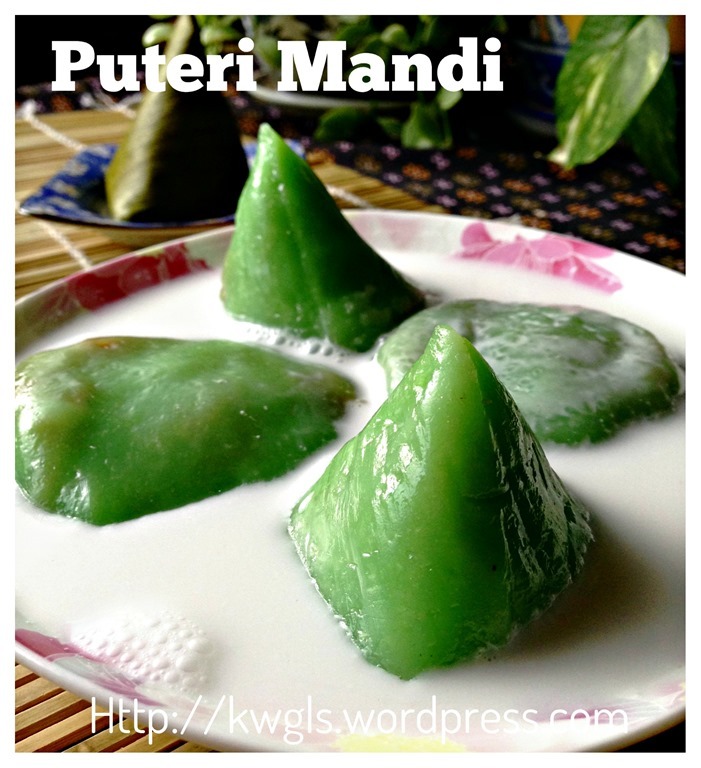 Heat the thin coconut milk and a pandan paste in the microwave for one minute until it is hot. If you do not have a microwave, you can do so over the stove. 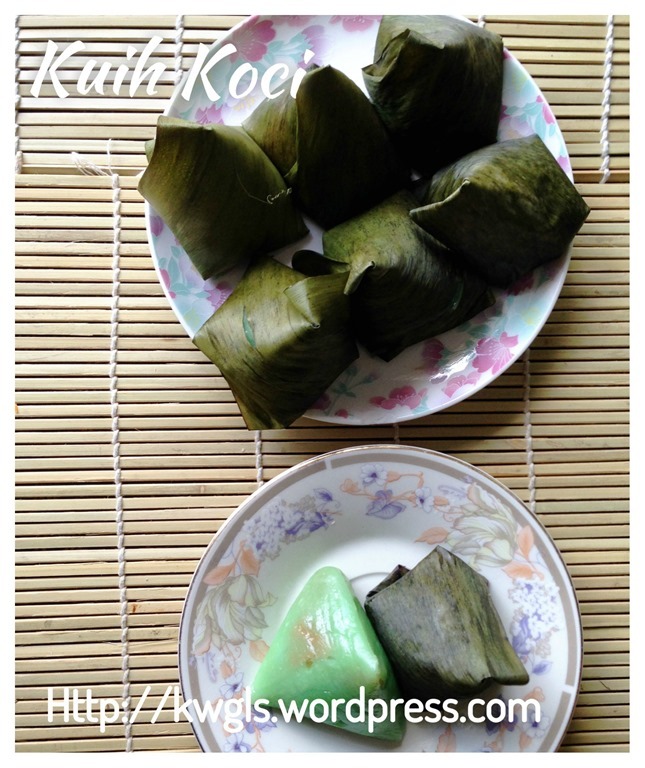 The main aim is to have some warm to hot coconut milk. 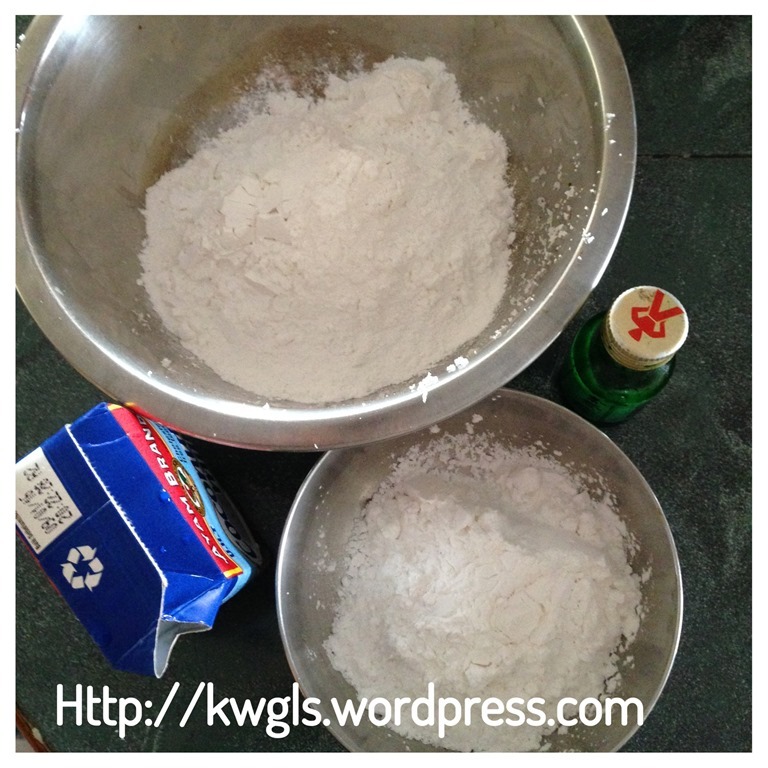 Put the glutinous rice flour, tapioca flour and salt in a mixing bowl. Use a pair of the chopstick to stir the flour until well mixed. Gradually add the hot coconut milk . Initially, use the chopstick to continue to stir until some crumbs. Once your hand can handle the hot to warm dough, use hand to knead until a pliable dough. Take a dough (in this illustration, I used about 35 grams), shape round, use hand to flatten it and put a spoonful of coconut filling on top of the dough. 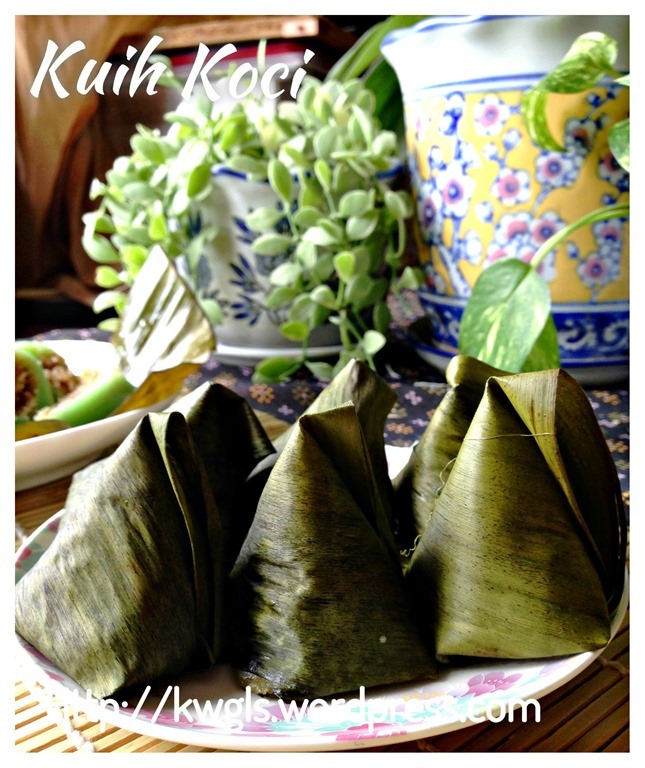 If the dough are too wet, add glutinous rice flour tablespoon by tablespoon and if too dry, add water teaspoon by teaspoon. 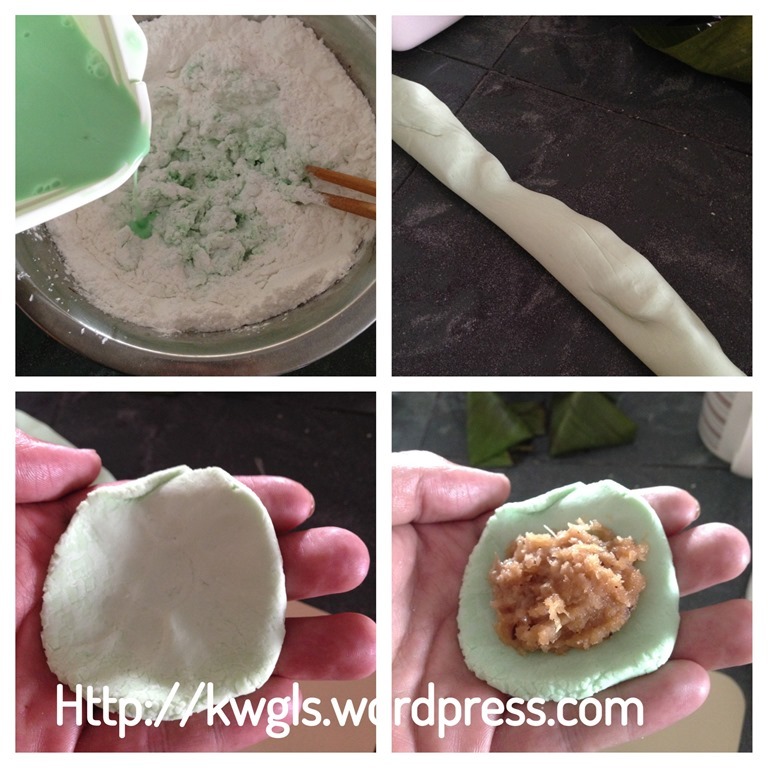 Seal the edges of the dough and slightly shape into a cone shape. 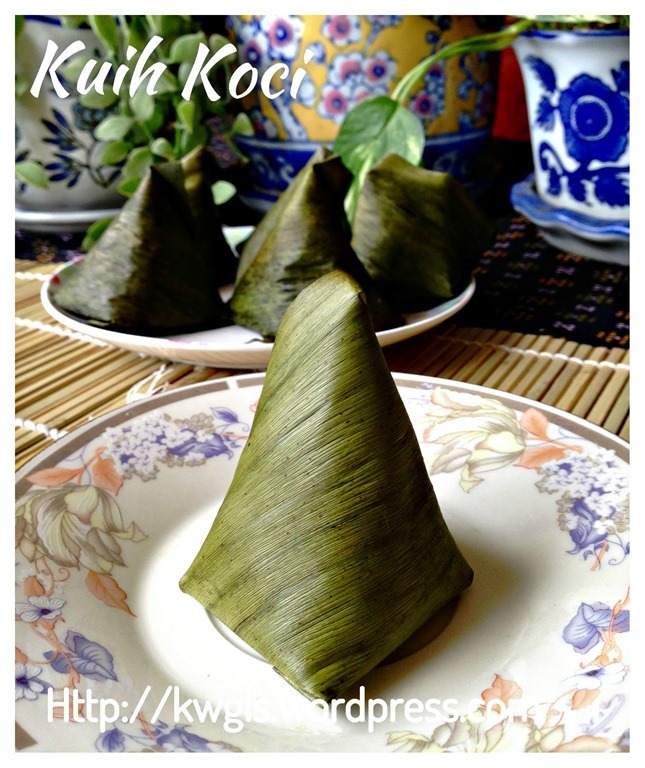 Take a banana leave, shape into a cone, put the dough inside the banana leaves. 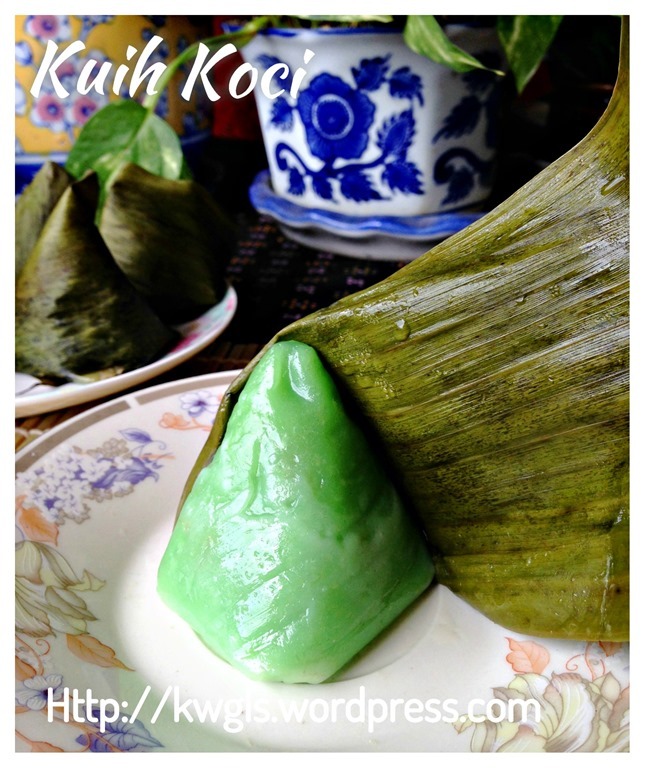 Seal the bottom of the cone but pressing the banana leaves towards the dough. Put in the steamer tray and steam under high heat for about 10-15 minutes. 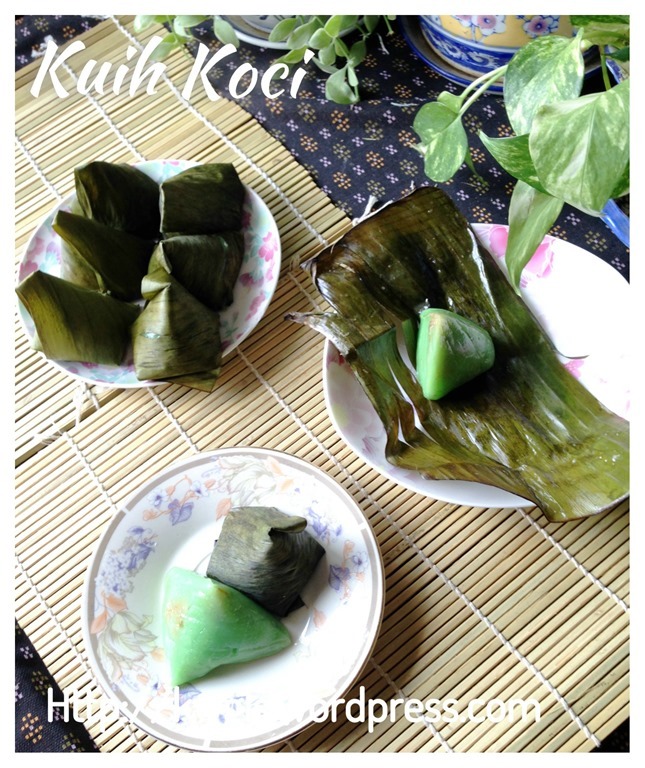 Best served as a snack with or without thick coconut milk. 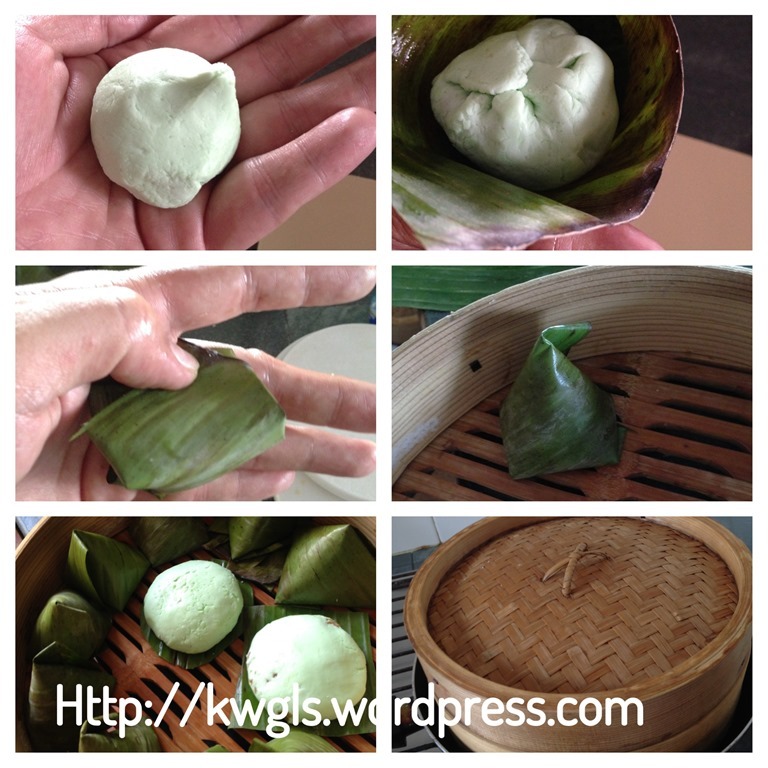 This entry was posted in Chinese and Asian Cakes and Snacks, Food Preparation Series and tagged 8, 香兰椰丝糯米滋, GUAI SHU SHU, Guaishushu, kenneth goh, koci, kuih koci, lapek bugis, mendut, pandan koci, postaday. Bookmark the permalink.